In 2013 the number of glass eels recorded arriving in UK rivers was the best for two decades. Likewise, visual observations on the River Shannon by our staff confirmed that there was a massive run of elvers on the River Shannon in April 2013. However, 2014 now promises to be even better with every indication that 2014 will be a record breaking year in terms of the numbers of juvenile eels returning to European rivers. Reports from the Severn Estuary confirm that the upturn in glass eel numbers is continuing for the third consecutive year. The links below show photos posted by the Environment Agency’s Dave Throup on his Twitter account suggest that that there is another bumper of run of glass eels in the River Severn under way. 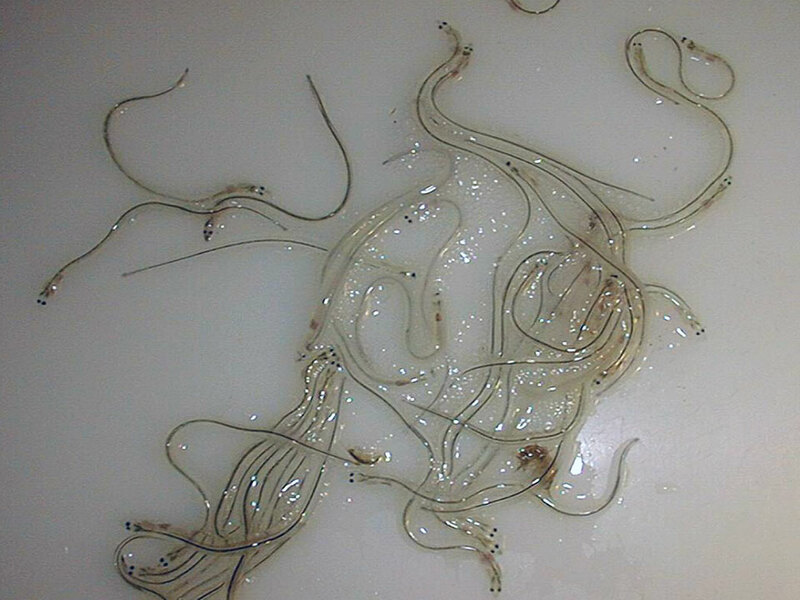 Elvers from the Severn Estuary. Huge numbers again this year. In January it was reported that French glass eel catches were up and that a major year for glass eels and elvers was in store again. The link to this media report is provided below. In January the Guardian Newspaper said that ‘conservationists suggest the decline of the critically endangered species has been halted and perhaps reversed‘. This report also noted that ‘Eels have been caught in record numbers for the third year running, leading conservationists to suggest their decline may have bottomed out‘. In January the Guardian said that ‘Quotas in three of the main eel rivers in France have been met so rapidly that there are now forecasts that record numbers will reach the UK‘. Current reports from the River Severn do indeed suggest that this prediction was right. In the UK the large number of juvenile eels arriving in the recent years has meant that record restocking could take place. In Ireland glass eel and elver fishing is banned and virtually nothing is being done to maximise this upturn in glass eel numbers on rivers such as the River Shannon. There needs to be glass eel fishery developed on the Shannon Estuary following the Sustainable Eel Group standard. Such a fishery could be self-financing and could supply restocking material to stock lakes throughout Ireland. In Ireland we are not helping the European eel, we are helping the ESB. At the moment 95% of these eels, the future of an endangered species, are dying in the Shannon estuary and in the tail race of Ardnacrusha hydroelectric station. 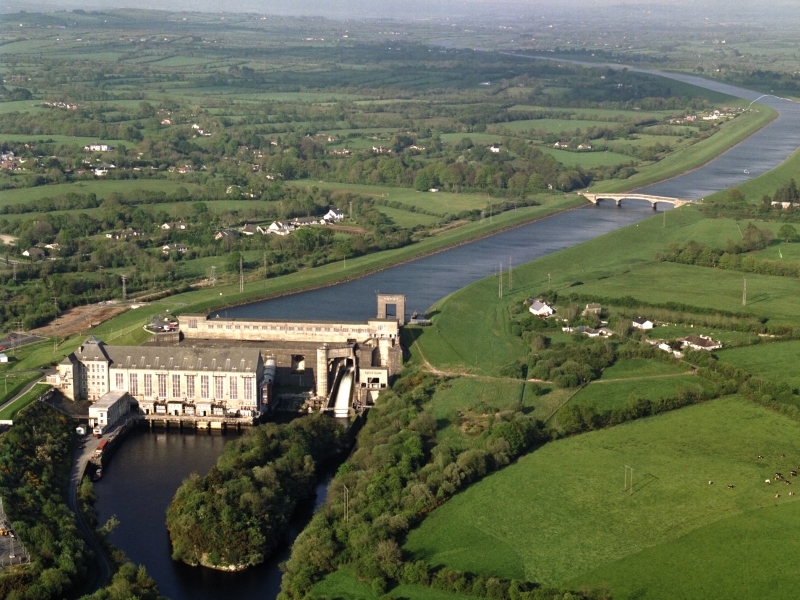 Less than a fraction of 1% of the glass eels that enter the Shannon estuary are likely to end up in the inefficient elver trap at Ardnacrusha due to variety of mortality factors, but also due to the presence of this hydroelectric scheme. It is time to maximise the use of the current upturn in glass eel numbers and secure the future of the European eel in Ireland. We should restore its traditional sustainable fisheries, and reduce/eliminate non-fishing mortality such as hydroelectric turbine mortality instead. In Ireland we are not helping the European eel, we are helping the ESB. We believe that it is time for Ireland to adopt the Sustainable Eel Group approach.